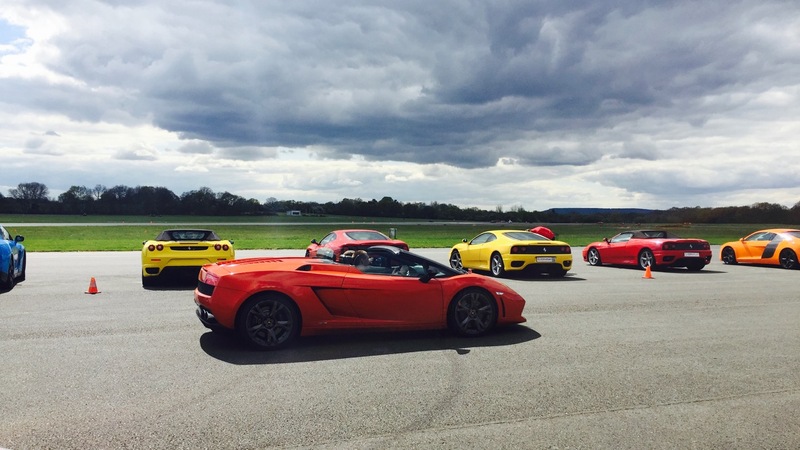 Ever wanted to drive around the Top Gear test track at Dunsfold Aerodrome in your favourite supercars? Well, I did too, and got the chance to drive four of my dream cars with Everyman Racing, who offer driving experience days across the UK. 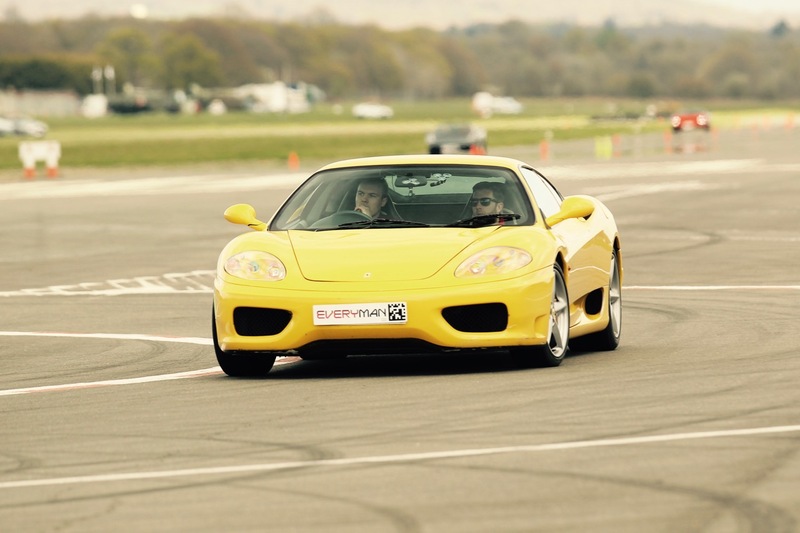 Read on to find out how you can drive a selection of supercars with these driving experience days, including David Beckham’s Ferrari! Arriving at Dunsfold Aerodrome, you’ll be taken to the car park to the track on a mini bus shuttle. Once you get to the track you’ll need to register at the large reception tent, where you’ll be given a slip of paper containing your itinerary, with the times you need to arrive at each area to drive your chosen cars. Each car on your list is dispatched from a different area marked by a flag, so at the time stated you’ll need to head to the right area and check-in with the pit crew, before you’ll get called up by your instructor. If you’re familiar with Top Gear, you’ll know this is the track that’s used in the show, however with some slight variations. If you were paying attention in the first episode the track was unveiled back in 2001, you’ll remember it’s actually a figure of eight – this is why the track only ever has one or two cars running on it. This means some slight variations have been made to the track to avoid the risk of hundreds of novice drivers having to dodge each other at high speed at the middle of the circuit, where the track would have backed onto itself. This area, between the Chicago and follow-through corners, is now the pit lane. Yes, this slight change may mean you don’t get to go through two of the track’s most exciting corners, however it does mean there’s a much longer straight on the runway for you to v-max your car, plus you get to go through the dreaded hammerhead corner. 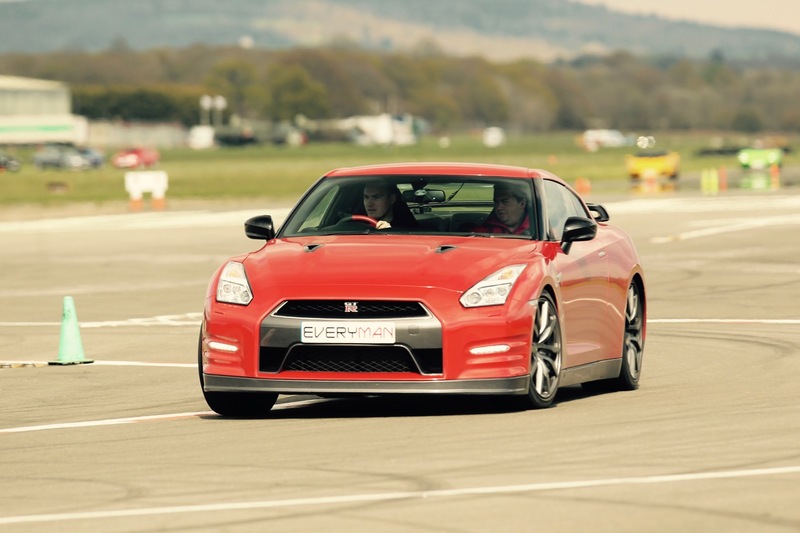 I’d chosen four makes of cars to try out: Ferrari, Lamborghini, Porsche and the Nissan GT-R. The next step was to check in with the pit crew at my allocated times and get a couple of laps around the track with an experienced instructor teaching me how to drive like Aryton Senna. First up was the Ferrari, where there were a stock of 360s, 430s and 458s on offer. I was in the 360, which may not have been the fastest of the three, considering the other two models were it’s successor, putting down a mere 400 bhp, but it was a car I’d wanted to drive since playing Need for Speed 3 back in 1999. Then I found out who used to own this car – David Beckham! Yes, the event organisers Everyman Racing picked up this immaculate condition 360 with one careful owner and let the general public loose in it. Not many people can say they’ve hit 120 mph in a seat that Becks once farted in, that’s for sure. I thought the 360 was fast, but the Gallardo took it to another level – this one had 520 bhp delivered through all four wheels, making it pants-shittingly fast. What made it worst was the brakes, which did nothing unless you press the pedal down almost all the way, before they finally apply. There’s nothing scarier than approaching an Aston Martin that’s breaking heavily while at high speed, pushing the brake, and nothing happening for the first few seconds. In the Fezza, I remember seeing the speedo inch past 120 mph on the straight, but in the Lambo I was too scared to take my eyes off the track to check – especially as on an earlier turn I’d been told off for going on the power too hard when coming out of the hammerhead, which could cause a spin. 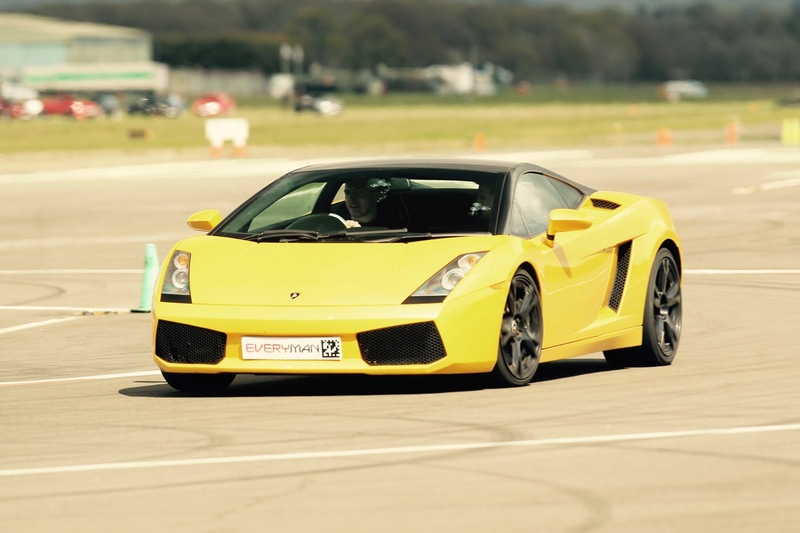 The Gallardo is definitely one to put on your list as you’ll be overtaking almost all other cars on the track if you drive it properly, apart from the professional drivers who were taking people on rides around in Ariel Atom V8s. All Porsches look the same, which is why I’m still not 100% sure which model I drove. 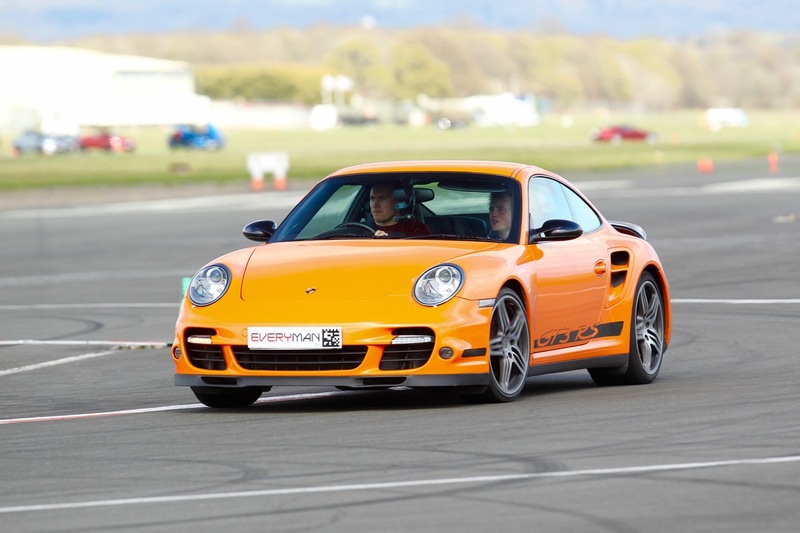 The car was in a ridiculous orange paint job, with “GT3 RS” written down the sides, but it’s not a GT3, as this had rear children’s seats instead of a roll cage. It has a turbo and looks like a 997 Turbo from 2009. If you can identify this car, let me know in the comments! When driving this car down the pit lane, I thought it was the most manageable, every day car of the three I’d had a go in so far. That was until the engine went over around 4000 revs, when the massive turbo kicked in. It felt like the Millennium Falcon going into hyperspace. The 911 may only have had 5 gears, but with this much torque, it didn’t need any more! Until this point, this was my favourite of the three cars, as the 911 may be the only one I’d ever be able to own – in fact, It’s possible to pick up an earlier generation of this car for between £20-30,000. And yes, I did look right after I got out the car. My interest in the 911 waned however, when I got into the GT-R – a.k.a. Godzilla. This was the second generation, cranking out just under 550 bhp – while the others on offer were the earlier models producing a measly 480 bhp. Score! Due to it’s unique hand built engine, each individual car produces a slightly different amount of power, however I’m assuming this was close to 550 as it felt seriously quick, but less scary than the Lambo – the GT-R is extremely drivable and could double up as your daily run-about. Plus the engine sound is incredible. Sadly the only thing holding me back were the other drivers – there’s only a couple of over taking points on the circuit, though I was able to stretch it’s legs on the main straight, as well as getting told off for flooring it when about to pull into the pit lane. So, you’ve read about my experience and you want to know how to get a go yourself. Unfortunately, one of the downsides I felt with the experience at Everyman Racing was the endless amount of add-ons that were on offer to bolt-on to your day. If you’re a tight-wad like me then you’ll want to know what to spend your money on, and what to avoid. Fortunately, I’ll tell you here! First up, don’t even think about paying the £30 or so for the accidental damage waiver. Yes, it means you won’t have to pay up to the £5000 excess if you total one of the cars, but what they won’t tell you when booking your day, is if you damage or spin your car on the track, they won’t let you carry on driving. Honestly, this does seem a bit misleading – I got the insurance thinking it would mean I wouldn’t have to worry as much. However, what I didn’t know, since I was given this experience day as a gift, was that you have an instructor ensuring you stay safe on the track. Therefore, the insurance isn’t necessary at all, because you’ll never be in a position that could cause a crash, unless you really try to drive like an arse. What you should spend your money on instead though, is the photo pack. You’ll get a set of photos from all your laps, taken at the hammerhead corner, so you can look cool in each car. If you’ve got mad photoshop skills, you could probably even change the numberplate and claim you own the car. Great for Instagram! Seriously though, if you want any shots of yourself driving the car, this is well worth it. There won’t be any other opportunities to get photos behind the wheel, and the action shots do look pretty cool. Not only will you get all the photos on a disc, you’ll also be able to choose one to have printed off and put in a cardboard frame, like the ones you get on theme park rides. The final option is to get a recording of yourself driving. Each car has a recording unit, with cameras facing the road and at yourself. They are constantly on, so even if you don’t choose the video up front, you can ask for it afterwards. I didn’t go for this as I’d already spent around £50 in photos and insurance, but if I was to do it again I’d probably swap the useless insurance for these videos. Finally, you’ll be offered to pay £10 for a lap around the track in a performance Skoda (yes, turns out there is such a thing) with an instructor to teach you the course and the braking points. Again, this something I didn’t bother with, and I think it was the right choice, as you’re in the car with an instructor guiding you around the track. Perhaps if you’re generally a less confident driver, then it would be worthwhile, but for me I couldn’t see the point. Driving experience days like Everyman Racing are a great way to get behind the wheel of a number of incredible supercars that most people would never get to own. The best way to enjoy yourself is to know what you’ll be getting. This is not a way to push the cars to their limits like you would on your Xbox or Playstation, due to the strict rules. Plus, with only three miles or two laps of the circuit with each car, it does go pretty quickly. However, that time you have in each car is great fun, and afterwards you’ll want to sign up for some proper racing driving training or even go on a track day. The only other thing to think about budgeting for is that a driving experience day will make you want to get a new car – my 140 bhp whip feels wholly inadequate now in comparison to some of these 500 horsepower monsters! 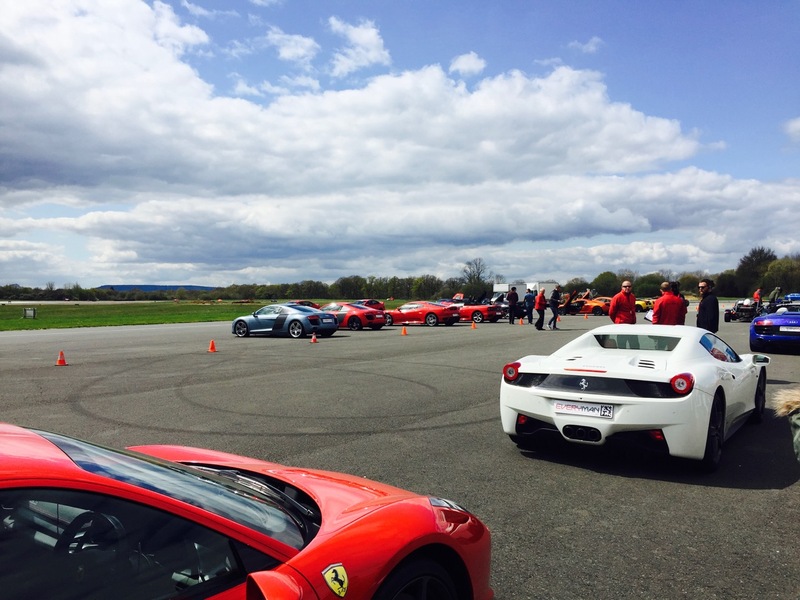 Have you gone on a driving experience day? What are your top tips for getting the most out of it? And what was your favourite car? Share your experience in the comments below!